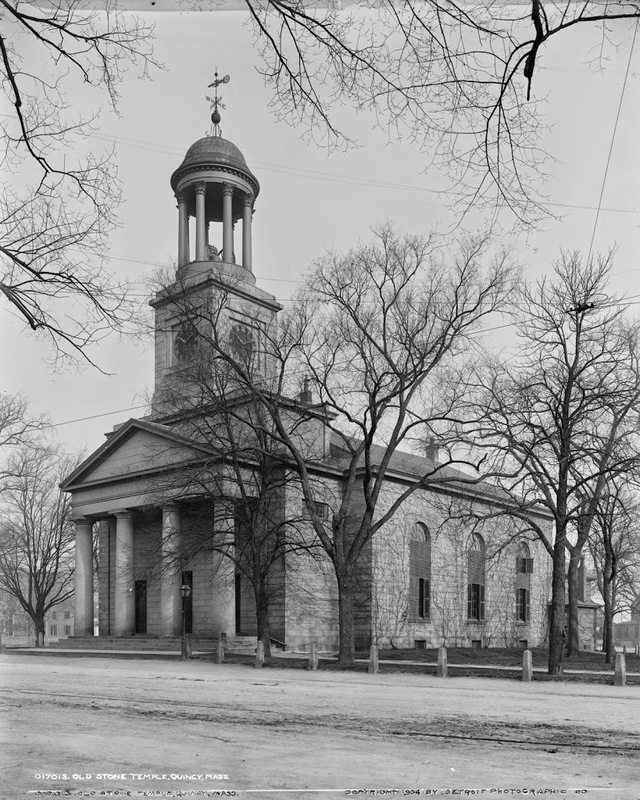 The United First Parish Church of Quincy, as seen in 1904. Image courtesy of the Library of Congress, Detroit Publishing Company Collection. 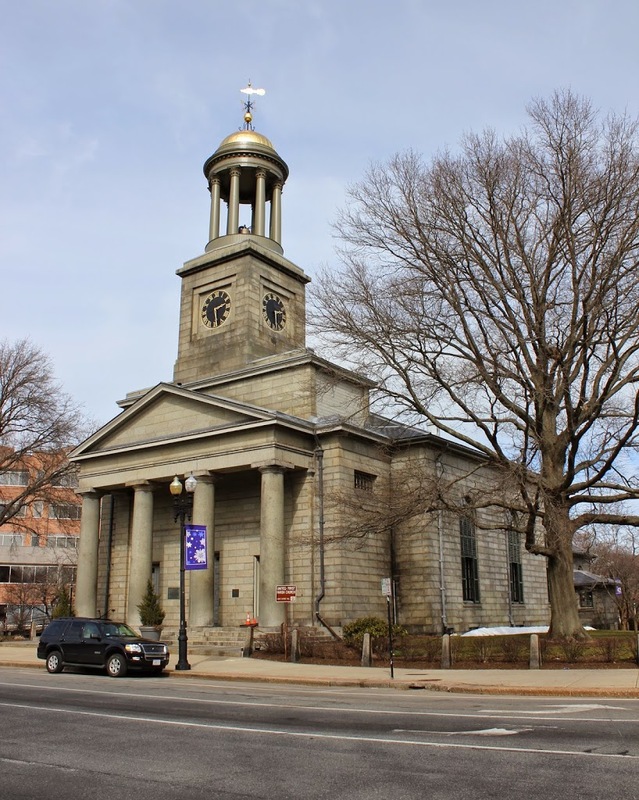 This church in Quincy was built in 1828, financed largely though former president John Adams. 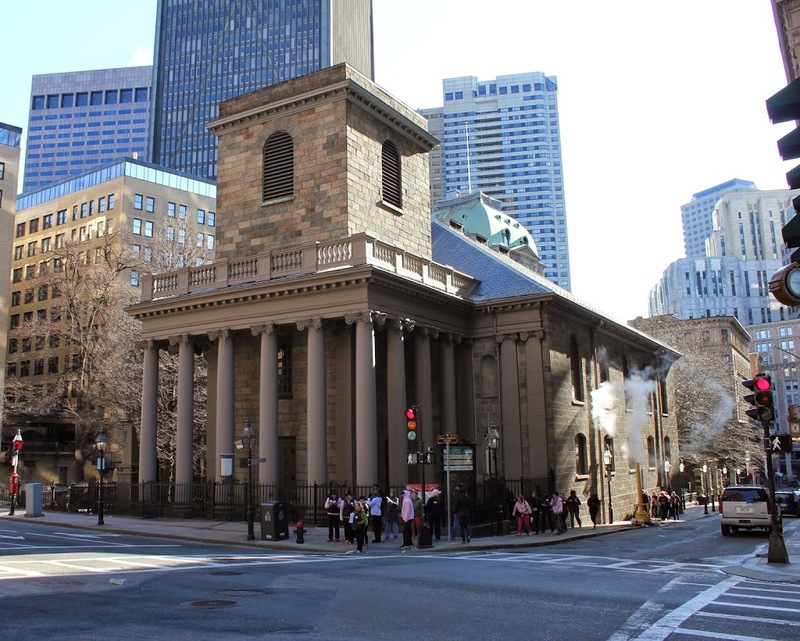 He and his wife, along with John Quincy Adams and his wife, are interred in the family crypt under the church – it is one of only two churches in the US that contains a presidential tomb. As seen in the two photos, not much has changed in the past 109 years with the building itself. 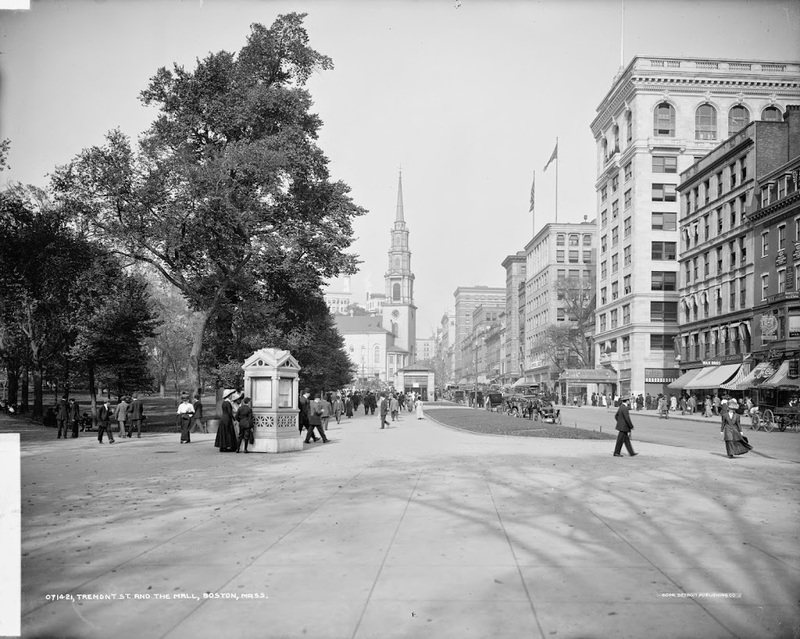 New Old South Church at Copley Square, between 1890 and 1899. Photo courtesy of the Library of Congress, Detroit Publishing Company Collection. For the most part, this view hasn’t changed. 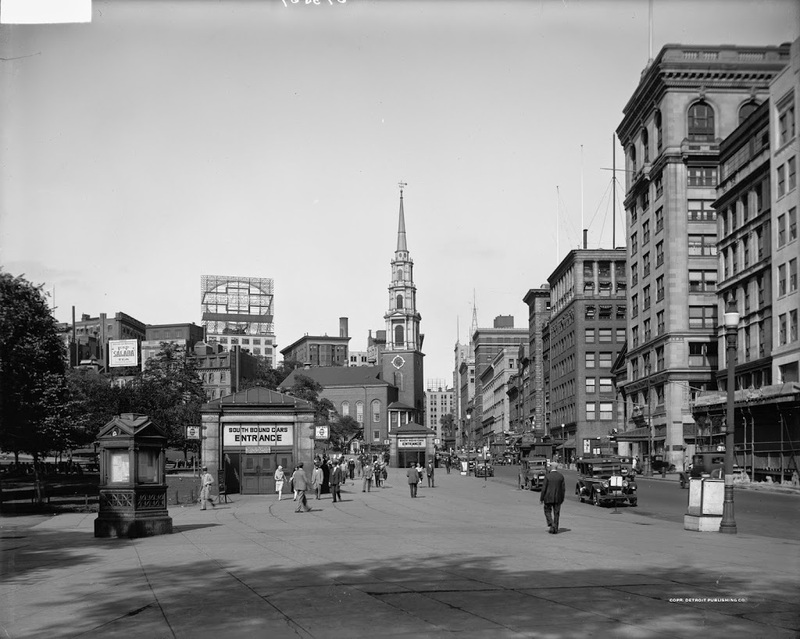 The Boston Public Library on the left is still there, as is the brick building behind the church. The only real difference is the tower, which had to be taken down in 1931. 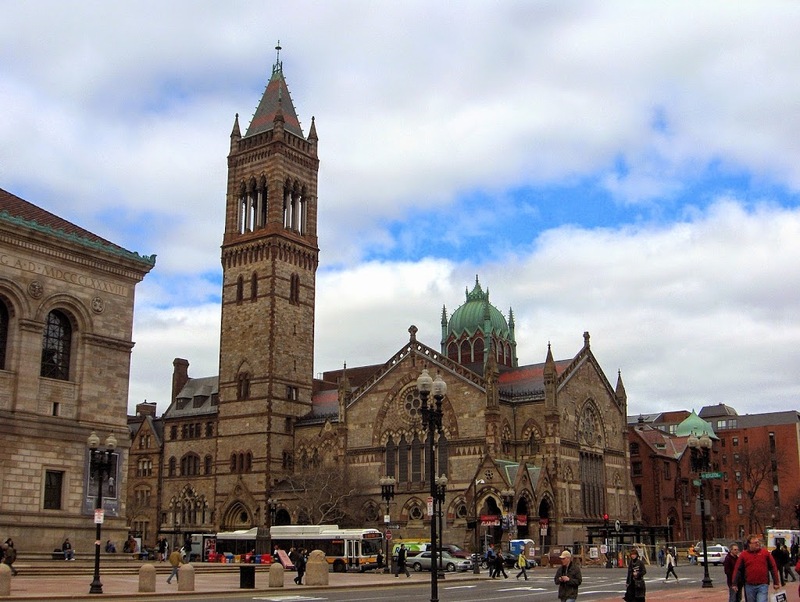 Like the rest of the Back Bay, the church sits on filled-in marshland, so the weight was supported by wooden piles that were driven into the soil. However, the tower was too heavy for the piles, and as the ground settled it began to lean about three feet. It was rebuilt in 1940 on stronger steel piles, and the new tower has stood substantially longer than the original one did. 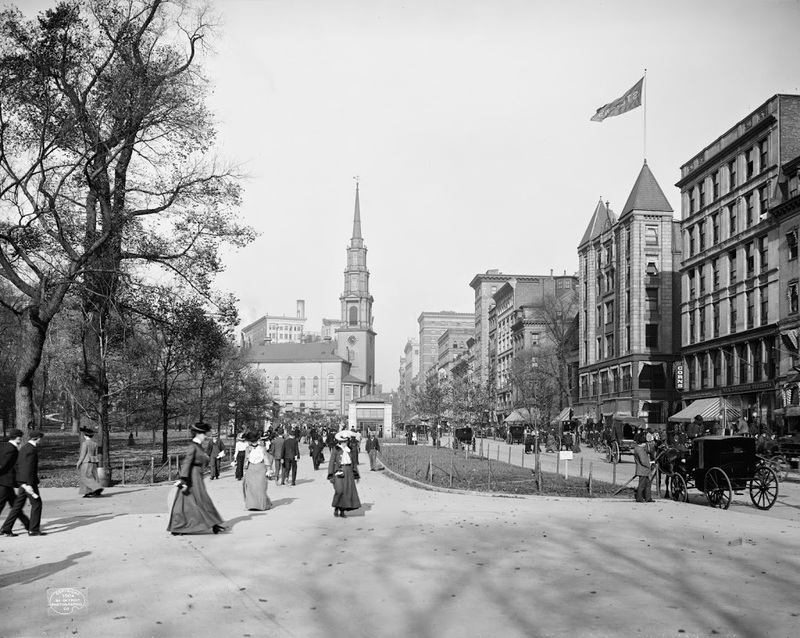 The view of the Original Mother Church of the Christian Science Church, as seen in 1900. Image courtesy of the Library of Congress, Detroit Publishing Company Collection. 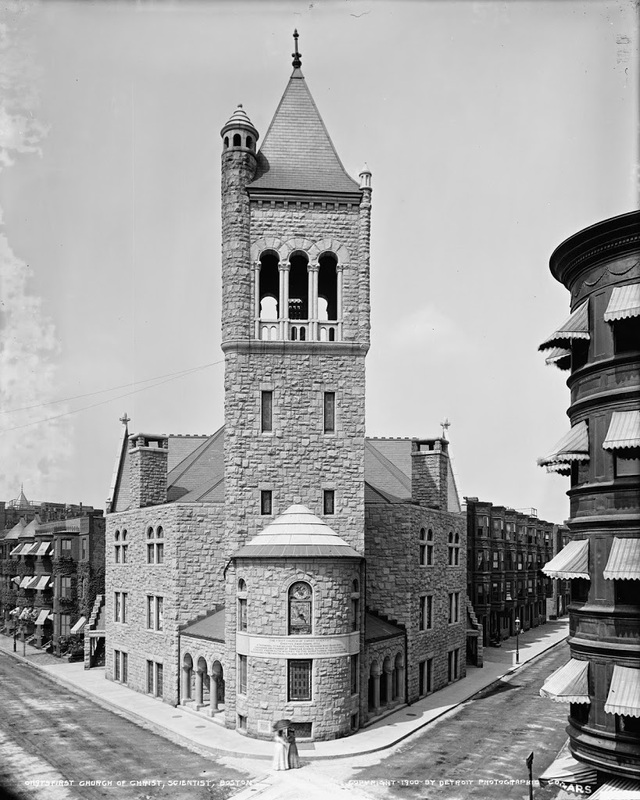 Shortly after the 1900 photo was taken, starting in 1904, the much larger, domed Mother Church Extension was built directly behind the original stone church from 1894. 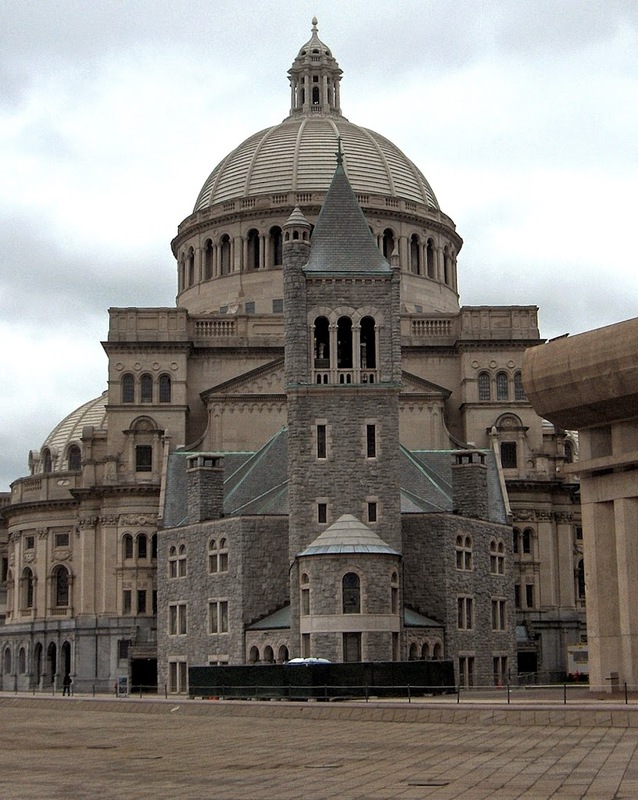 Together, along with several other buildings in the campus, it forms the headquarters of the Christian Science Church. 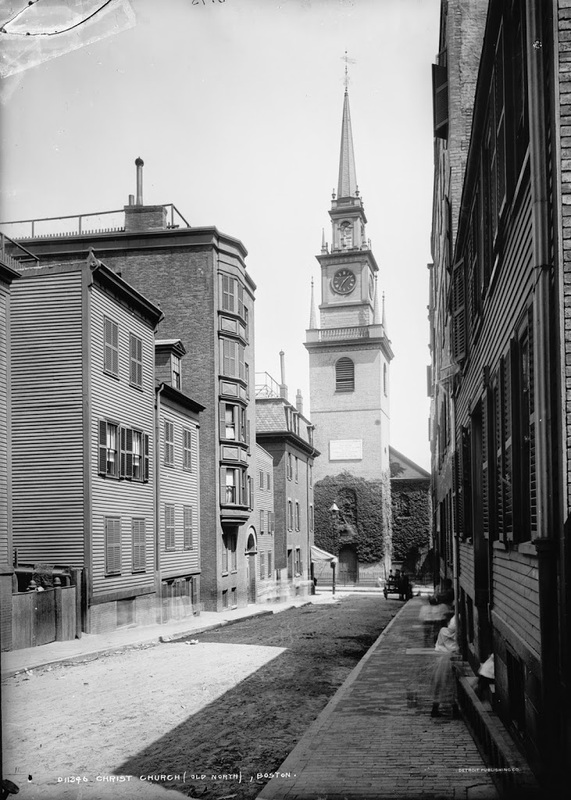 The view of Old North Church, looking down Hull Street, sometime in the 1890s. Photo courtesy of the Library of Congress, Detroit Publishing Company Collection. About decade later, around 1909. Photo courtesy of the Library of Congress, Detroit Publishing Company Collection. From 1909 to 2018, not a whole lot has changed here – aside from the addition of parked cars in the 2011 photo, the only differences for the most part are minor cosmetic changes. However, from 1898 to 1909, the scene looks very different – most of Hull Street was still dominated by small wood-framed buildings, some of which dated back to the mid 18th century. 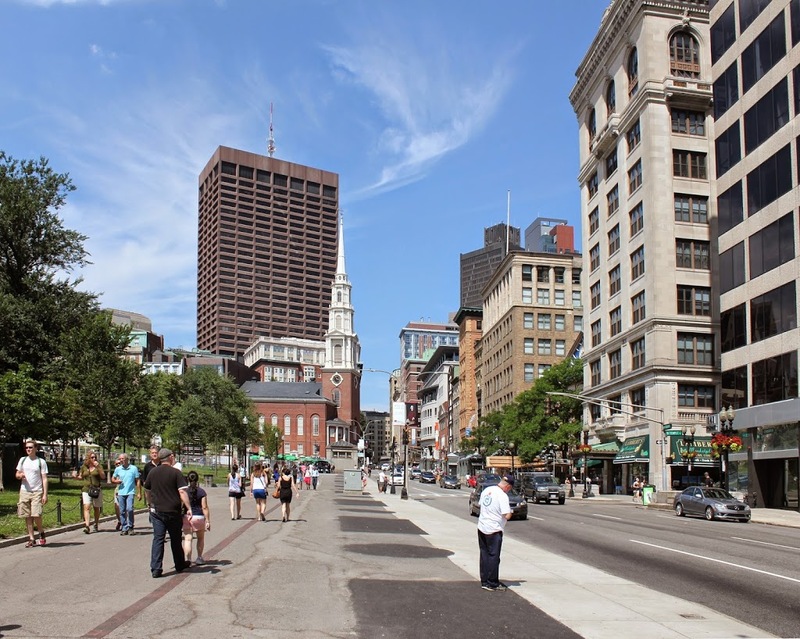 The closest wood building on the right-hand side of the street is the Galloupe House, which purportedly was used as General Thomas Gage’s headquarters during the Battle of Bunker Hill. 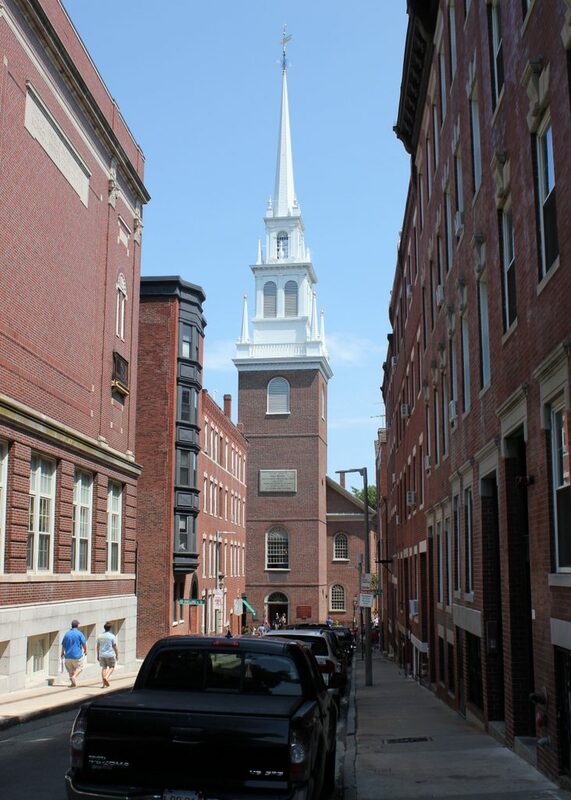 The centerpiece of all three of the photos, however, is Old North Church, which looks almost unchanged. In fact, though, the entire spire above the brick section is fairly new. 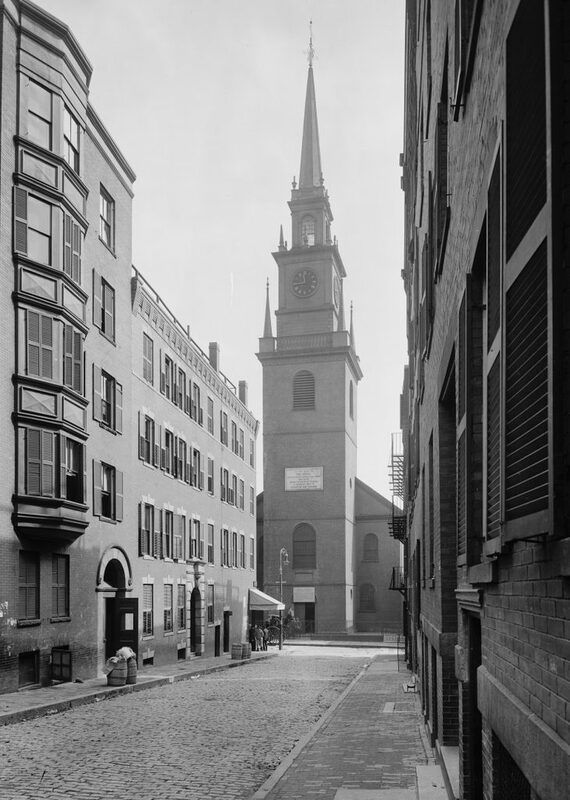 Although the church was built in 1723, making it the oldest church building in Boston, the spire was destroyed in a storm in 1804. It was replaced with the one seen in the 1909 photo, which was destroyed by Hurricane Carol in 1954. Despite that, the church still looks very much as it did on the eighteenth of April, in Seventy-five. 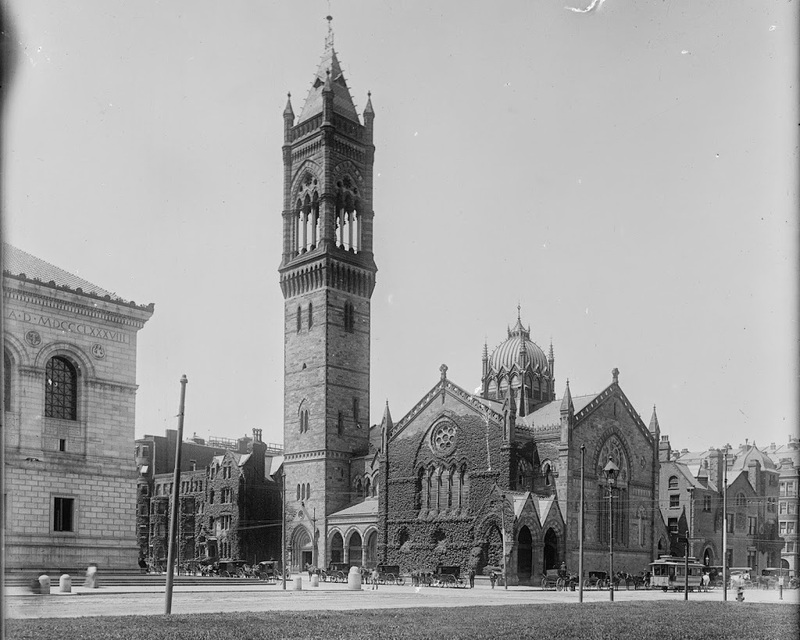 King’s Chapel in Boston, as seen between 1900 and 1906. Image courtesy of the Library of Congress, Detroit Publishing Company Collection. Not much about the church itself has changed, although most of its surroundings have. The King’s Chapel Burying Ground is still to the left, and the top of the old Boston City Hall is visible just above the roof of the church. The church was built on the site of a previous, wooden church, which had been built in 1688. 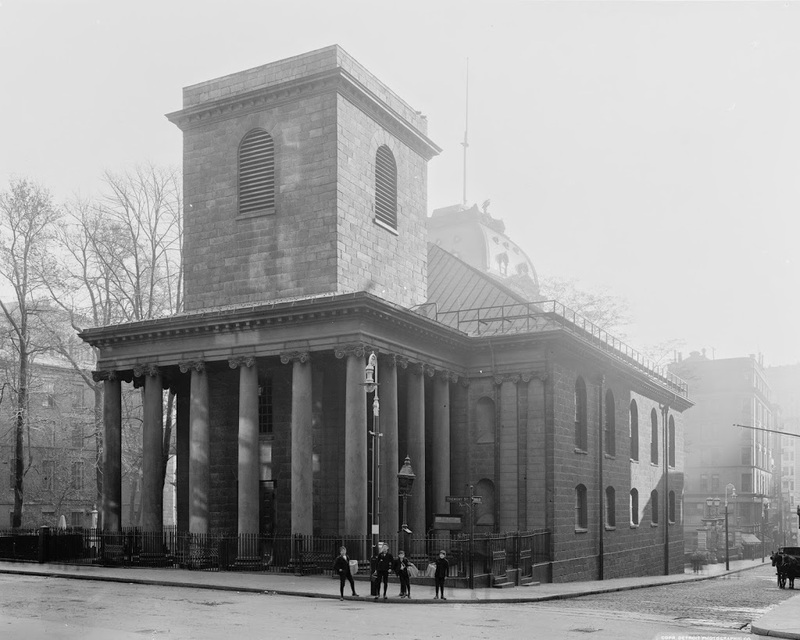 When King’s Chapel was built in the early 1750s, it was literally built around it, and when it was completed, the 1688 church was dismantled and removed through the windows.